Mum of 3, Kate de Bass spent a couple of years developing the Pipity range and then launched it last May. 1. Years of broken pencils and felt tips pens staining the bottom of her handbag, along with crumpled creations. 2. Two of her kids love making and creating things and it was a struggle to find great presents with any longevity to celebrate and inspire their creative flare. 3. Feeling uneasy about the growing role of technology in her children’s lives, she wanted to find a fun alternative solution that would help to balance screen use. Kate designs all of her Pipity products and packaging from her kitchen table, and does all of the artwork herself. Pipity Activity cases has already won a number of awards including, Right Start Best Toy Award 2016 in their arts and crafts category, Loved by Parents Gold Award 2016 in their best stimulative toy category and Junior Design Silver Award 2016 in their best travel product category. I have to agree with Kate in regards to technology. I remember when I was a kid going out to play and being really into my arts and crafts, and even now and the age of 4 my daughter is into her technology. 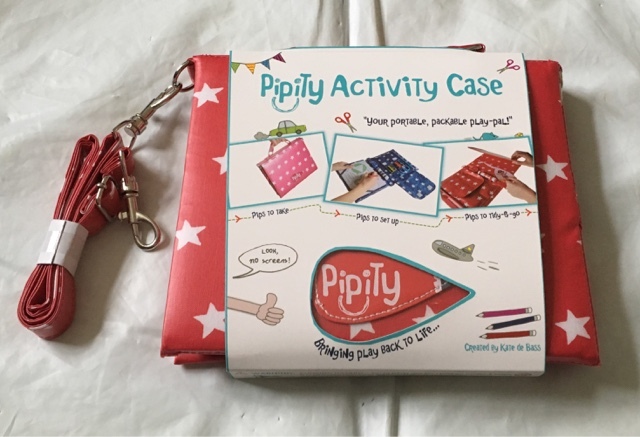 I am delighted therefore be able to review one of Pipitys Art Cases. I really cannot say enough how lovely this set is. It is beautifully made with great attention to detail and I would say it caters to various ages as well. 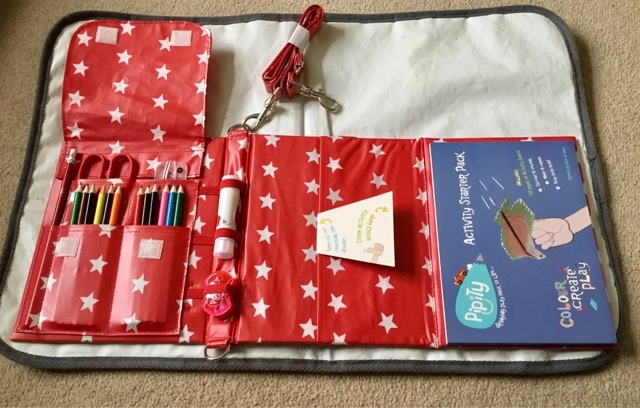 The activity case contains a Velcro lift up tab with a pencil, scissors, colouring pencils and a ruler, as well as pencil sharpener and a glue stick in the middle section. The other side has a handy storage pocket to keep all of those wonderful creations in as well as a cushioned back which can be used as an easel as it has two elastic straps that can hold one of the above mentioned books onto the case. The Portfolio is the perfect size to store all of the activities and creations in and keeps them safe from being scrumpled up! The case also has a carry handle as well as a detachable strap making it perfect to take on long car journeys or on an aeroplane abroad. The books are really entertaining too, you can create your own puppet shows, cut out and colour your characters as well as learning the parts from the included scripts! The on the go games does look a bit too old for my 4 year old daughter at the moment so this will be kept for when she is a little older, and it will certainly keep her occupied with the great games inside, including battleships and connect 4. The Countdown to Christmas book is a good advent calendar alternative, it aims to keep kids creativity and imagination busy in the run up to Christmas. You can also colour your own personalised Thank you cards to send out and create your own dress up dolls. This is a set that is just so jam packed with lots of activities for your little one to enjoy. 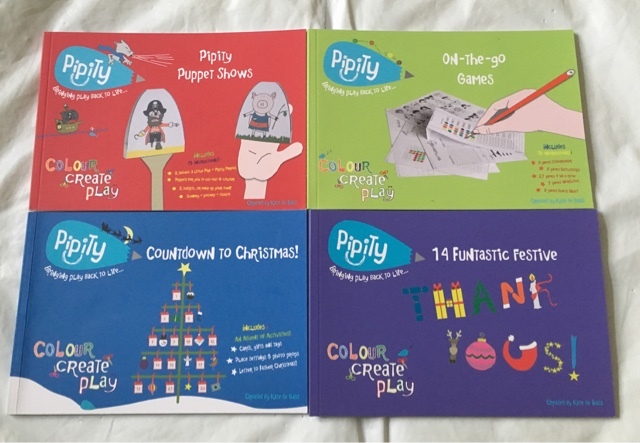 I would highly recommend Pipity, and this would be a great Christmas present to give to any child. UK Entrants Only. Winner will be drawn at Random and notified on the Rafflecopter Link above.